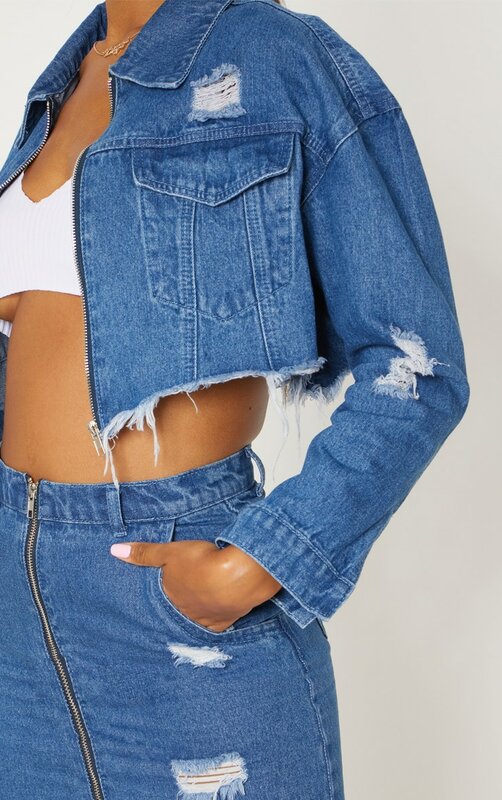 Up your denim game a level with this super chic denim jacket. 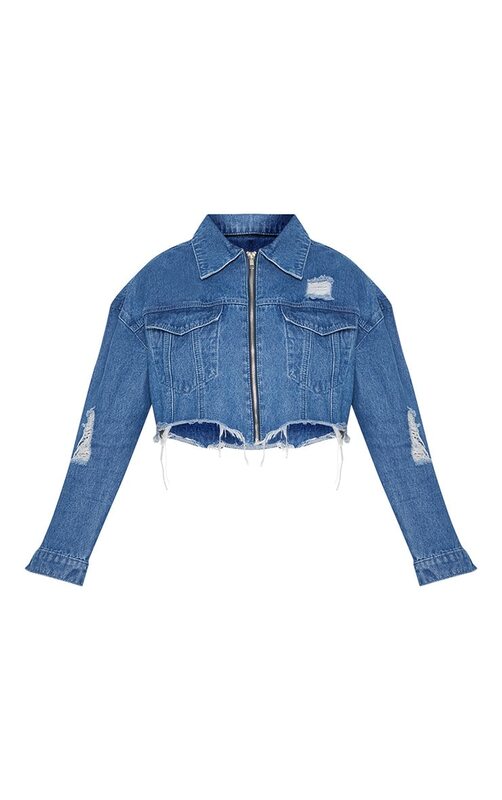 Featuring a dark wash denim material, distressed hem, zip front and trucker style, it ticks all the boxes. 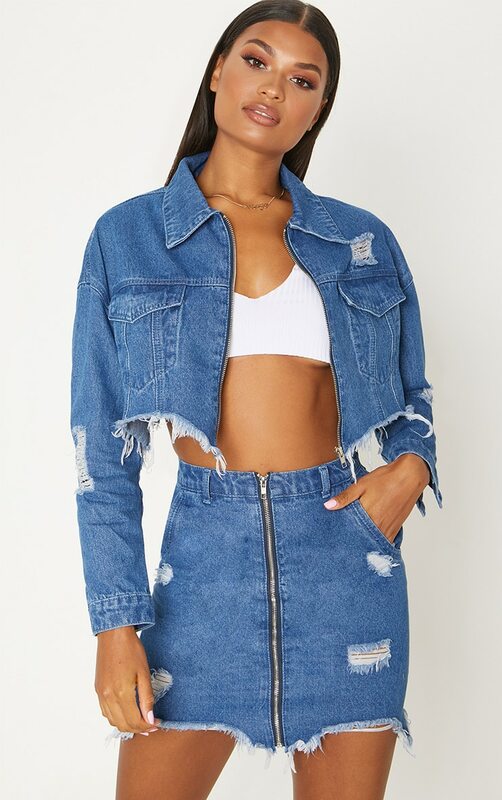 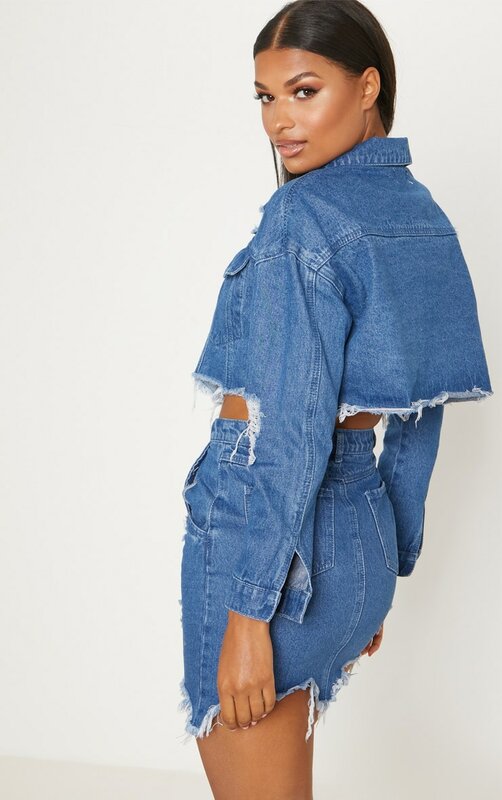 Team with a zip up high waist denim skirt and white crop top to complete this look.